Inclusions play an incredibly important role in the look of sapphires, but unfortunately, are usually quite misunderstood. 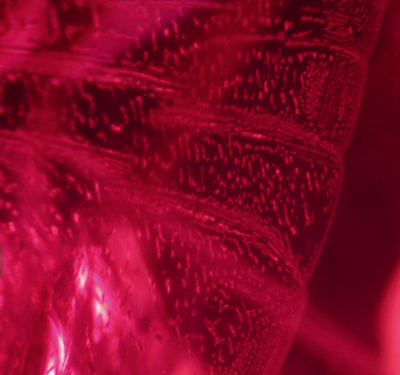 A compressed disk of liquid between crystal planes inside an unheated pink sapphire from Sri Lanka. Sapphires host many different inclusions, and even the best stones are not expected to be inclusion free. In fact, a sapphire with no inclusions is often viewed with suspicion; it may be a synthetic stone or a glass imitation. The best clarity grade for sapphires is “eye-clean,” which means no inclusions are visible to the naked eye. When evaluating the clarity, experts consider the size, number, location, and overall visibility of the inclusions. A scene of beauty, twin zircon crystals inside an untreated blue sapphire from Sri Lanka. 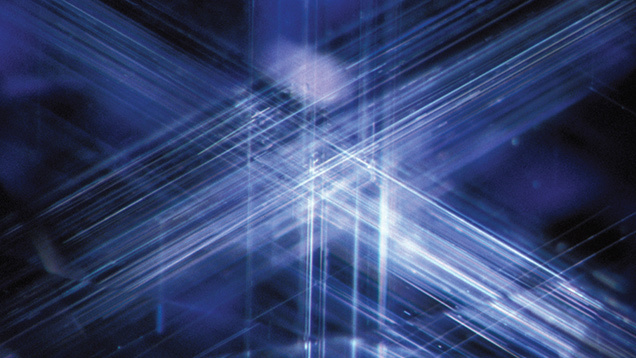 Rutile needles intersect and glimmer flashes of violet as light bounces and refracts among the crystal scene. 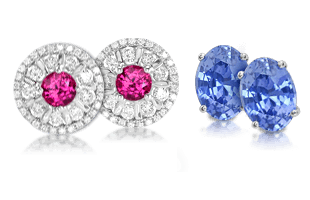 Since inclusions are a natural consequence of crystal growth, sapphire inclusions vary with their source or origin and treatment history. 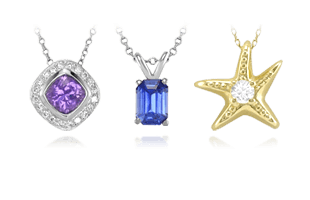 Each type of inclusion has a different implication for the gemstone’s visibility and sparkle. 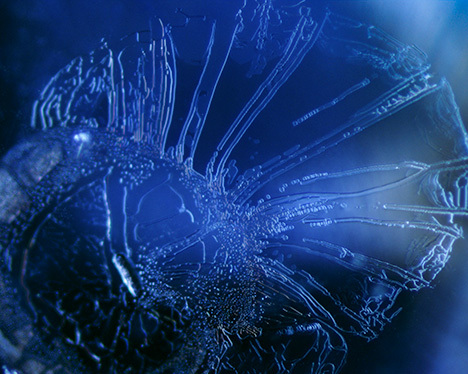 While inclusions can typically be seen with the naked eye, others can only be seen with 10 times magnification. Why Is Understanding Sapphire Inclusions Important? 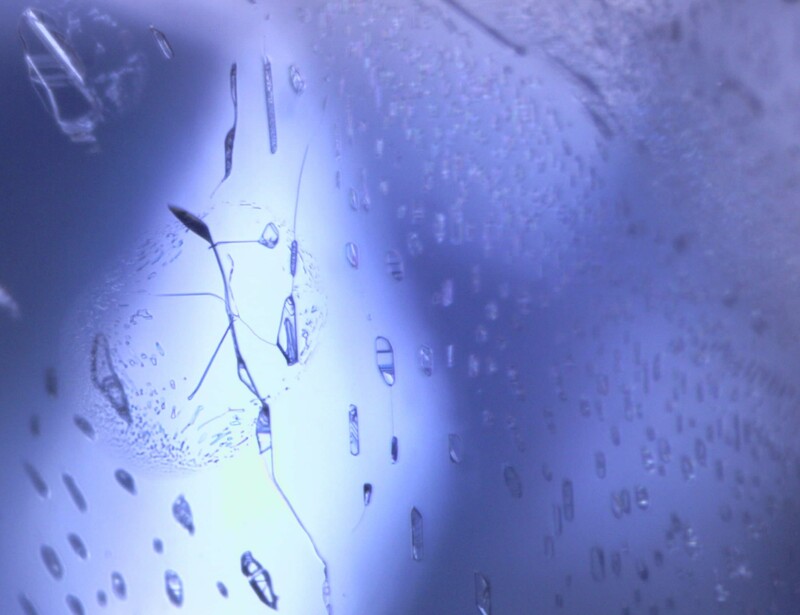 A beautiful feather and rain droplets-like inclusion scene inside an untreated blue sapphire from Sri Lanka. 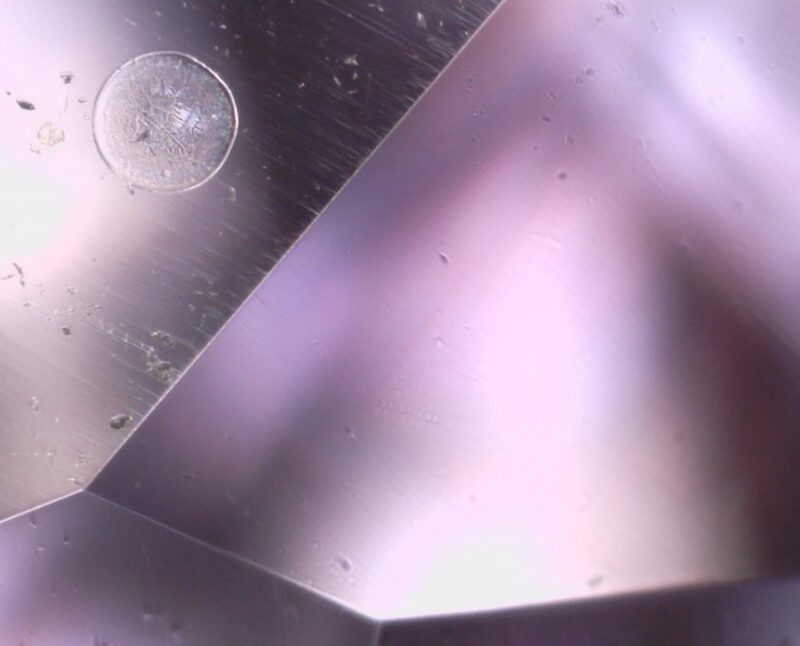 The study of inclusions in sapphires is a sure way to detect if a sapphire has been treated. Heating sapphires at extreme temperatures change the internal characteristics so much that it is quite easy for a trained gemologist to determine if the sapphire has been heated. Also, filling cavities and fractures within a stone can often compromise the sapphire’s clarity. 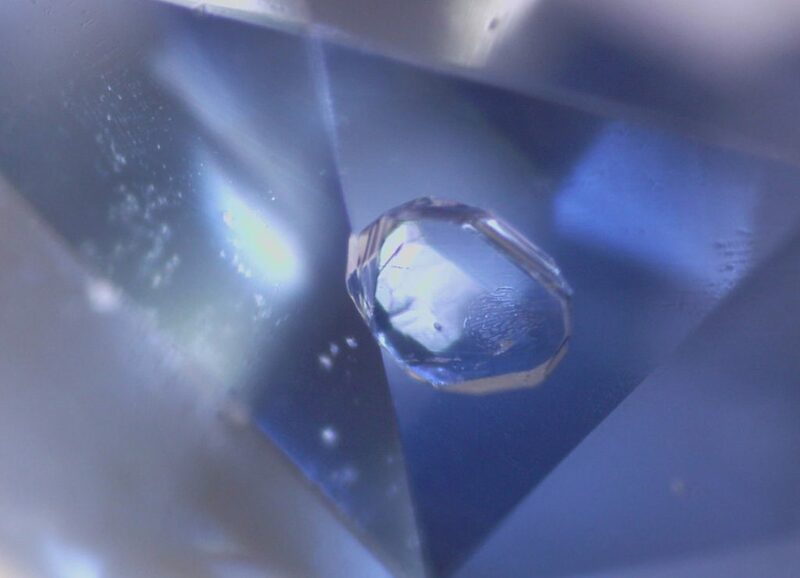 Atoll-like inclusions in a Montana blue sapphire. Natural gemstones are far more valuable, rare, and durable than synthetic versions, and the presence of inclusions is one way to guarantee a natural gemstone. The classifications of “natural” inclusions versus “synthetic” inclusions are not created equal. 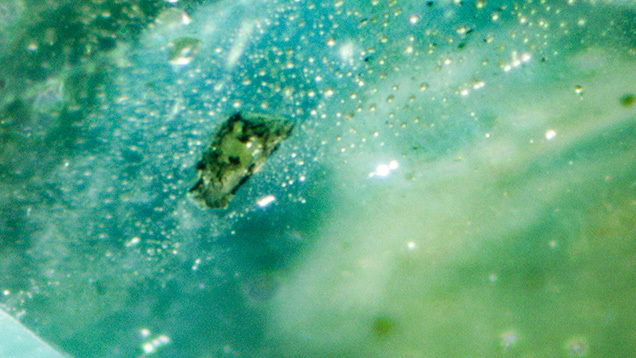 A topaz mineral inclusion found within a Montana sapphire. Photo credit: Hanco Zwaan. 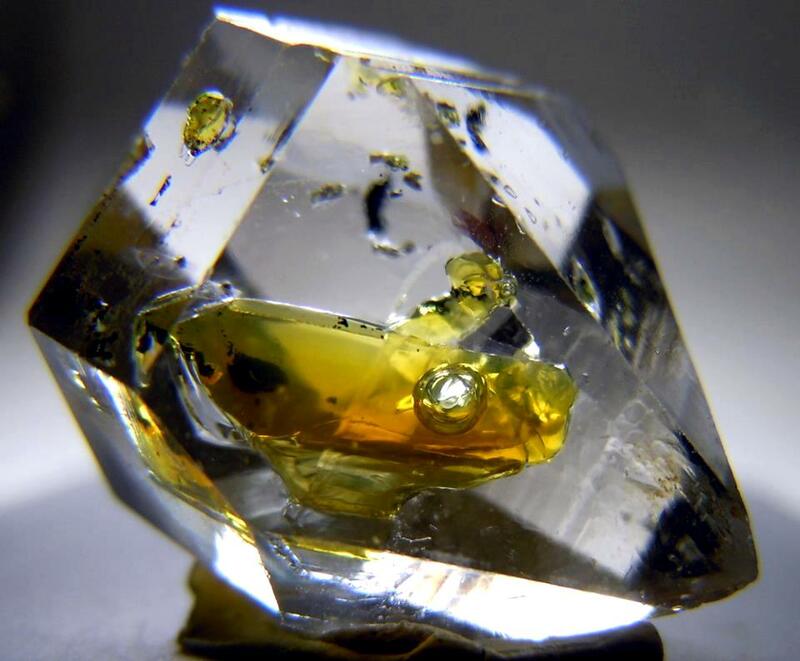 Natural inclusions within a natural gemstone are often observed as transparent, partially-healed, or critical to the crystal structure and non-impacting on the beauty and luster . 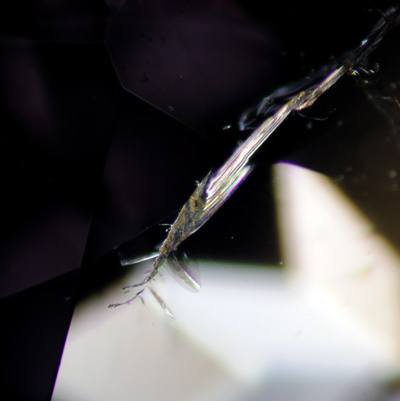 Synthetic gems develop inclusions as a result of their method of growth. These are often observed with highly negative attributes such as opaque coloring, coarseness, or having a web-like appearance. Small liquid or vapor droplets encapsulated inside an unheated violet sapphire from Ceylon. It’s the type and number of inclusions that really matter to determine the value and beauty of natural corundum. Most people are not familiar with this different view of inclusions since the most understood conversation surrounding inclusions is in regards to diamonds. Diamonds are an entirely different mineral species and have completely different rules when it comes to inclusions and how they will affect the value and beauty of a stone. 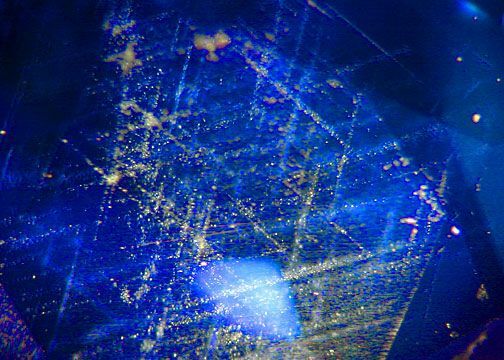 A magnified image showing a cluster of rutile silk in an untreated Burmese blue sapphire. 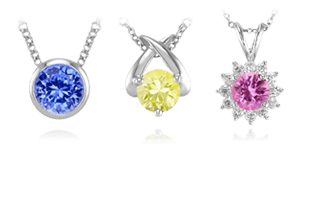 Colored stones are generally far more saturated with inclusions at a level of 10x magnification than diamonds. 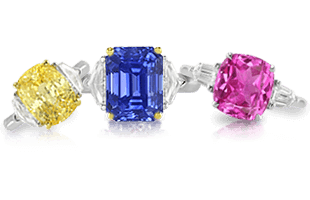 If the same clarity grading system were in place for colored stones as it is for diamonds, there would almost never be high-clarity graded colored gemstones. An example of elongated negative cavities surrounded by stress halos. These are voids or holes that extend from the surface of a gemstone into its interior. A common treatment many sapphires will undergo to remedy this type of inclusion is called cavity filling wherein color-infused glass is introduced into the cavity to fill the cracks and fissures. Natural color zoning in a piece of sapphire crystal rough. These are areas or bands of alternating color in a gemstone. Color zoning occurs naturally during the formation of the crystal and is quite common in the rough form. The cutting of the sapphire can greatly diminish or enhance this type of inclusion. An example of a feather inclusion in a sapphire. These are small inclusions that have the wispy appearance of a feather. These are typically white in color, and they can impact the structural integrity of the stone if they’re large enough. Feathers are most often microscopic, thin breaks in the sapphire and usually have little impact on the look of the stone. A ruby with fingerprint inclusions. These are networks of tiny liquid-filled tubes that resemble human fingerprints. 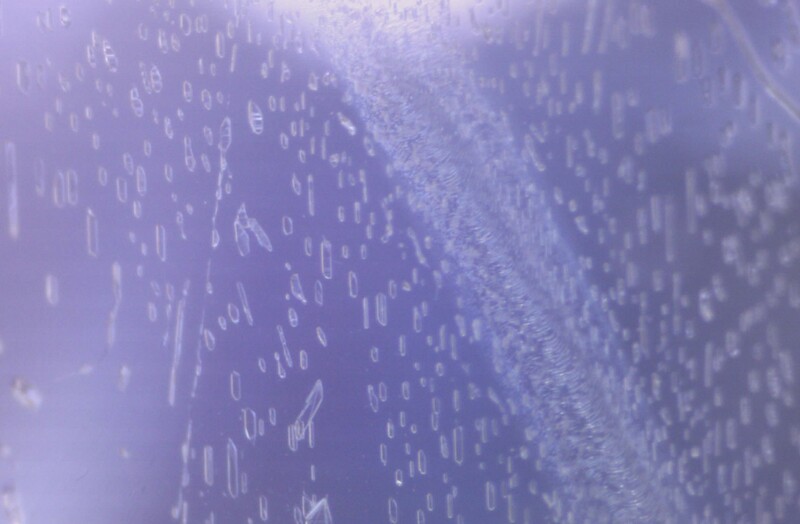 Fingerprint inclusions are formed when sapphires re-crystallize to partially heal a fracture zone. 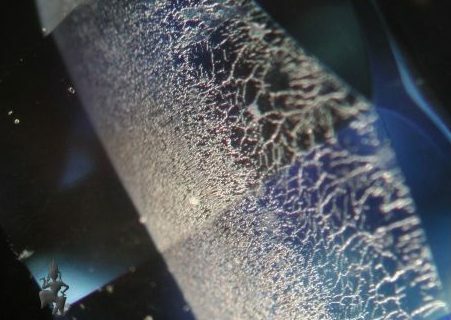 These types of inclusions are fairly common in sapphires, but because they are small, they are not likely to negatively impact the quality of the sapphire. A halo inclusion from heating a sapphire. These are oval or circular fractures surrounding a solid or liquid inclusion. These fractures are formed from stress due to the radioactive decay of tiny zircon crystals, or from the high temperatures required for heat treatment. 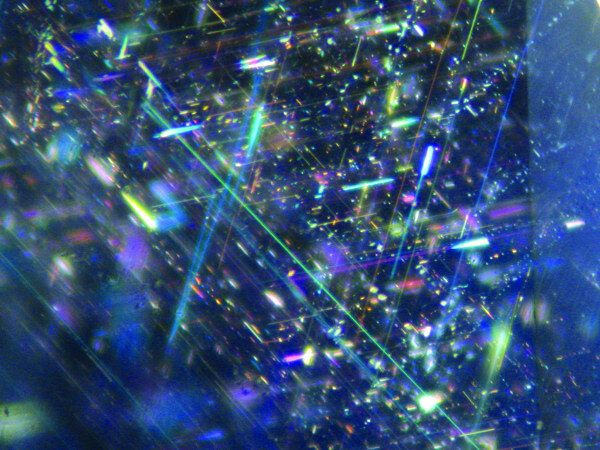 Fluorescent petroleum bubbles included in diamond quartz. These are light, dark, transparent, or opaque minerals trapped inside a gemstone. In sapphires, you can frequently find minute crystals of hematite, zircon, spinel, calcite, and mica, for example. White crystals are more desirable since the color of the sapphire should mask them; so conversely, dark crystals can dull the color and make the sapphire stone look opaque. 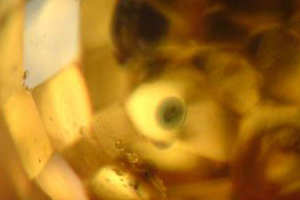 An example of a liquid inclusion in a gemstone. These are liquid-filled spaces within a gemstone. In corundum that is of metamorphic origin, the presence of carbon dioxide fluid inclusions is actually an indicator that no heat treatment has been used to alter the stone. Natural rutile silk inclusions in a sapphire can actually improve the color. These are the fine, rutile needles that create the sleepy transparency of some sapphires. They appear in groups and look like striations in the stone; for this reason they are often referred to as needles. Silk is also responsible for asterism in star sapphires. Not all sapphires contain silk. 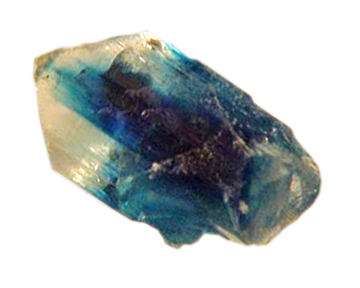 Silk is an example of an inclusion that may actually add value to a sapphire. In moderate amounts, the highly reflective rutile needles scatter light within a cut sapphire, helping to illuminate a stone’s darker facets and enhance its brilliance. 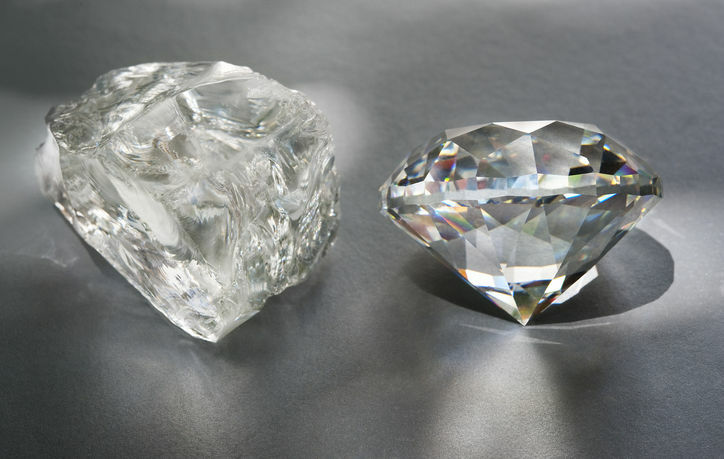 The rough diamond on the left is cut and faceted to look like the diamond on the right. When viewable from the top down, natural concaves are usually left in the stone. A concave is technically not an “inclusion” as the concave does not remain once removed from the surface of the stone; an inclusion is a flaw that is inside, deep under the surface of the gemstone. Concaves are the natural indentations in the surface of a gemstone created during crystal formation. 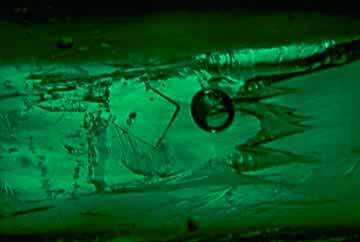 These growth marks are usually found on the girdle of the stone and do not affect the gemstone’s beauty or luster. 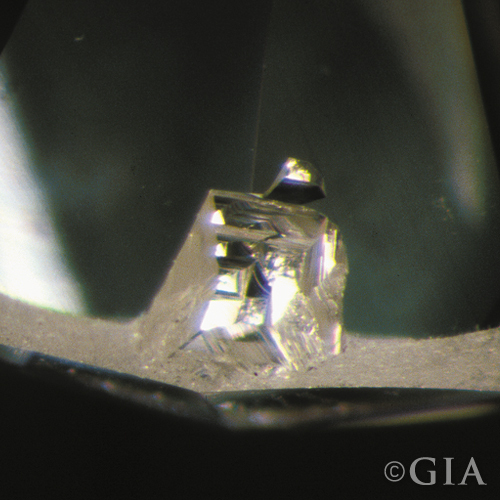 A natural concave indentation in a diamond viewed through magnification. Photo credit: gia.edu. This “natural concave” is often left on the area of the gemstone that is not viewable from the top-down perspective when looking at the stone; normally on the bottom of the girdle area of the gemstone, or pavilion areas. Natural concave’s can be cut or polished out when it’s a bother for a prospective buyer, but it is normally not something that is removed unless specifically requested. A crystal inside a crystal, undisturbed zircon crystal inside an unheated blue sapphire from Madagascar. Specializing in natural sapphires and also specializing in macro photography, we often have customers asking about interior imperfections (inclusions) in the sapphire. It’s extremely difficult to find a sapphire made in nature without some visible ‘issues’. The macro photography certainly doesn’t help hide these things, often we need to explain that the small bubble like inclusion in the gemstone isn’t really visible when seen in person, as the photography is magnified on their screen. 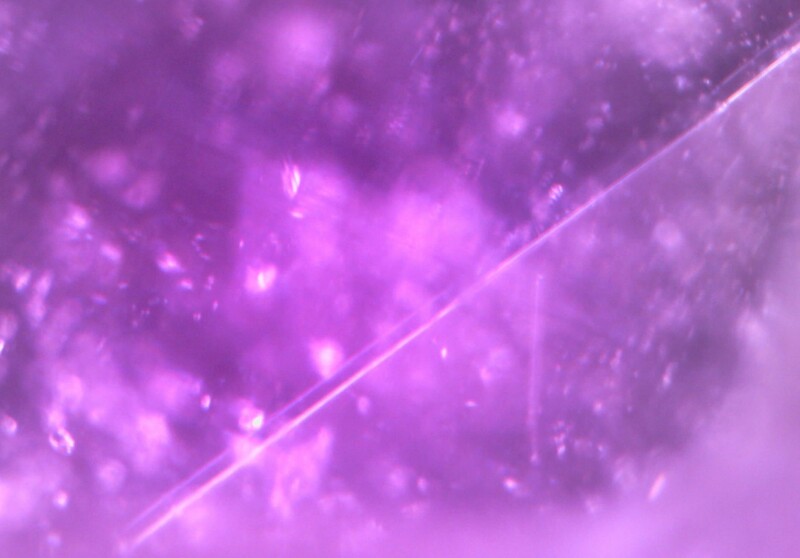 A rutile needle in perfect detail inside a natural untreated (not heated) purple sapphire from Madagascar. I’ve actually and honestly grown to be attracted to inclusions in natural sapphires. I find them not as imperfections but rather interesting and curious in making the item more unique and one-of-a-kind. I appreciate how these gemstones are in fact imperfect yet still beautiful; much like the person who will own it one day. 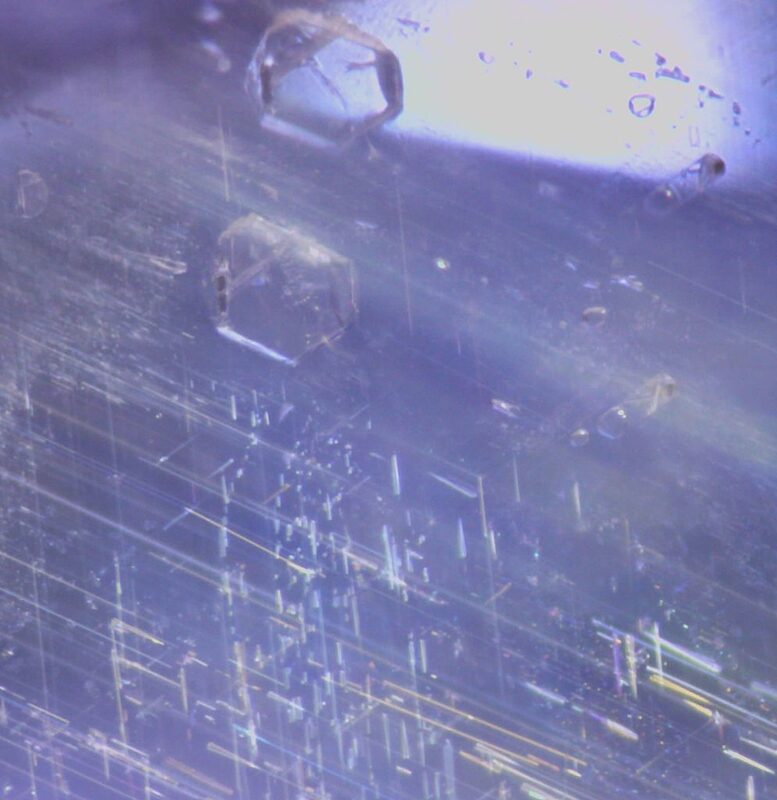 Rutile needles intersecting and refracting light in a blue sapphire from Burma. I have made myself a few pieces of jewelry, and I have my own personal gemstone collection. Sometimes I show my personal collection to friends and family, and they often ask me why I have stones that seem imperfect, not expensive and some with very big inclusions or cloudy. 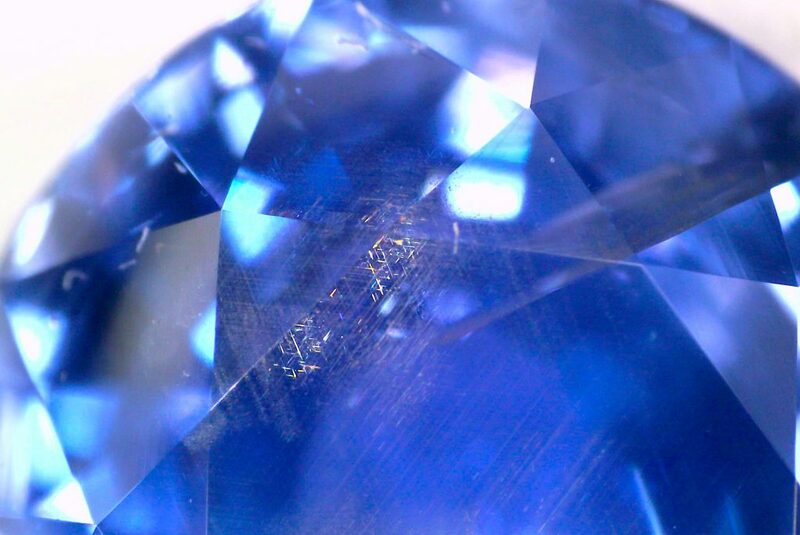 Golden colored silk inclusions in a blue sapphire. I really enjoy these nuances and rare growth details inside the crystal. I think of them as personality, much like a person having less perfect characteristics or traits in who they are, a kind of reminder that we are all flawed in ways, yet still special in our own way. I frankly don’t like the totally perfect gemstone, I find it a bit unnatural, unimpressive to be frank. I like to think that if I have a more humble gemstone it will keep me and my ego in check. 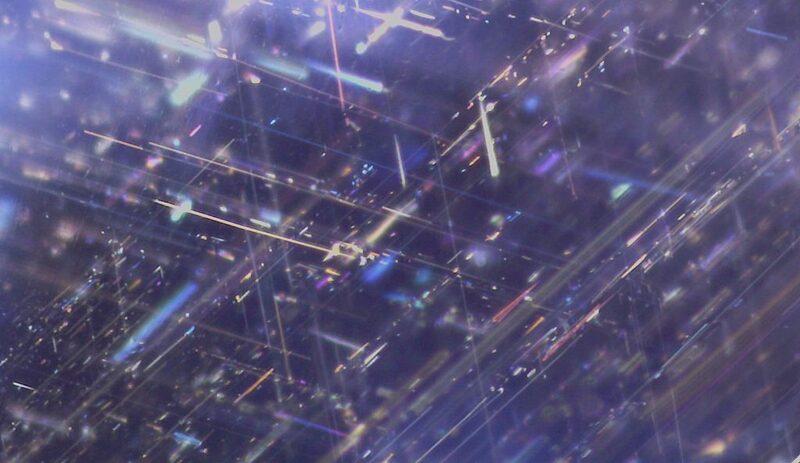 Intersecting rutile needles establishing the asterism affect in a star sapphire. The sapphires with amazing wondrous interior inclusions are a prize in my view, I have spent countless hours under microscope looking at these interior scene just as if I was looking into a telescope up into the stars and galaxies. It really is very much the same awe and wonder to me. As we continue learning about sapphire characteristics, we will next explore The 4Cs of Sapphires, to see how these qualities establish value.